The Bar may be collegiate, but are the Bar Council and the Bar Standards Board (BSB) too close? Have you read last month’s Legal Services Board (LSB) report that found the Bar Council encroached on the BSB’s regulatory independence? I doubt it; it’s a lengthy document and it’s taken me three weeks to find the time. 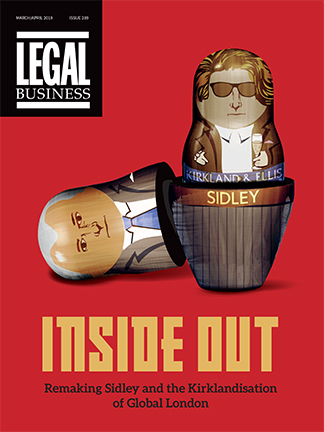 But for those questioning the continuing need for the LSB – chief among whom are, of course, the Bar Council and BSB – it is a must-read. With a packed programme at the International Bar Association’s (IBA) annual conference in Boston, working out which of the many (and sometimes dry) debates to attend is a challenge, but one of the stand-outs from the first day was the discussion on anti-corruption. The Serious Fraud Office (SFO) is to recruit an additional 10 junior barristers to join the team involved in the defence of the multi-million damages claims brought by the Tchenguiz brothers. With the International Relations Committee of the Brazilian Bar Association (OAB) due to vote on suggested changes to the country’s Bar rules, LB has obtained a copy of the proposals up for discussion. Drafted by attorney Carlos Roberto Siqueira Castro, partner in Rio de Janeiro-headquartered litigation outfit Siqueira Castro Advogados, the report pushes for a major reinforcement of the existing rules governing international law firms practising in the country. Hostility within the Brazilian legal market, especially São Paulo, could hardly be more intense. The Brazilian Bar Association, Ordem dos Advogados do Brasil (OAB), recently reiterated its opposition to local lawyers forming alliances with the local offices of foreign law firms. It puts Linklaters, Mayer Brown, DLA Piper, Uría Menéndez and their local associated practices – Lefosse Advogados, Tauil & Chequer, Campos Mello Advogados and Dias Carneiro Advogados respectively – very much in the firing line.